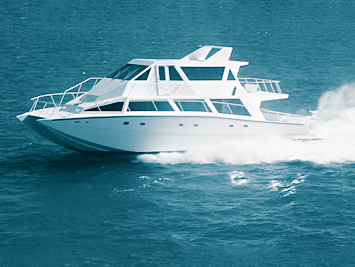 Multihull Technologies, Key West, Florida takes pride in their work and utilizes only top quality materials. Specializing in the design and construction of custom one offs in power and sail, the company is known for using technology throughout design and construction. Multihull works closely with many of the world’s foremost composite engineers in the building of their custom line of Constellation Yachts. As a result of this commitment and expertise, Constellation Yachts are considered to be among the most advanced catamaran and trimaran vessels built today. Plascore PP Honeycomb proves itself to be a versatile. Used for sound absorption around diesel engines, in addition to providing integral mechanical structure in the build of these hi-tech composite structures. Visit Multihull Technologies and Constellation Yachts at www. constellationyachts.com for more information.